Apple Music offers a section called For You which provides a personalized selection of music based on your listening habits. On the surface, it sounds great until a song you can’t stand listening to anymore or an artist you really aren’t a big fan of gets injected into the For You feed. Wouldn’t it be great if you could teach Apple’s algorithm exactly what music you like and, more importantly, what you dislike? 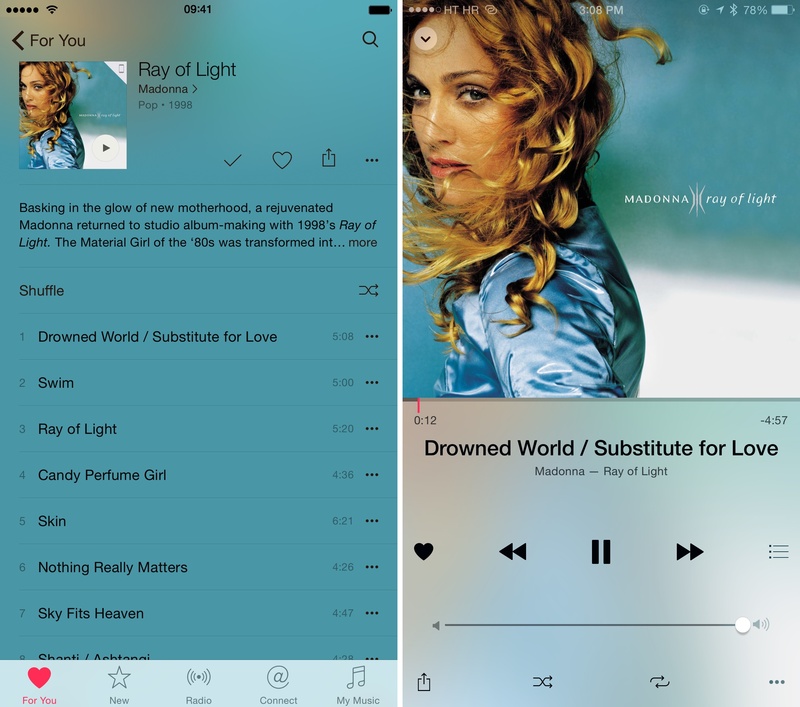 Thankfully there is, but it takes a bit of a learning curve to master the Apple Music recommendation system. Here’s what you need to know regarding fine-tuning For You recommendations and customizing your listening experience on Apple Music. That’s all fine and dandy with us except that Apple doesn’t divulge in greater detail how the recommendation system on Apple Music really works. 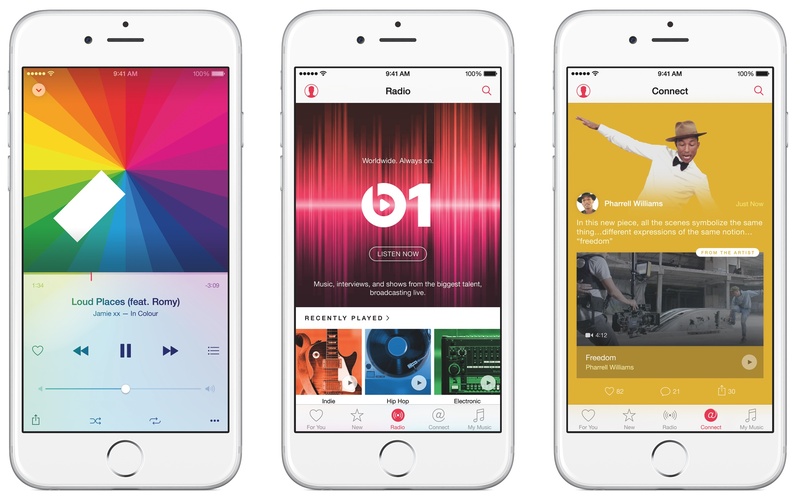 Let’s get down to the nitty-gritty of Apple Music’s recommendation engine. Apple’s recommendation system on Apple Music is basically a supercharged Genius system that iTunes has been using for years now. Telling Apple about music you like helps them deliver better and better suggestions to you over time. Plays—Apple Music’s recommendation engine pays attention to what you actually play to help surface similar content you may find interesting. It’s important to note that Apple Music’s recommendation engine takes into account full plays, but discards skips. Your library— Songs you’ve downloaded from the iTunes Store, ripped from CDs or imported into iTunes from other sources are analyzed. 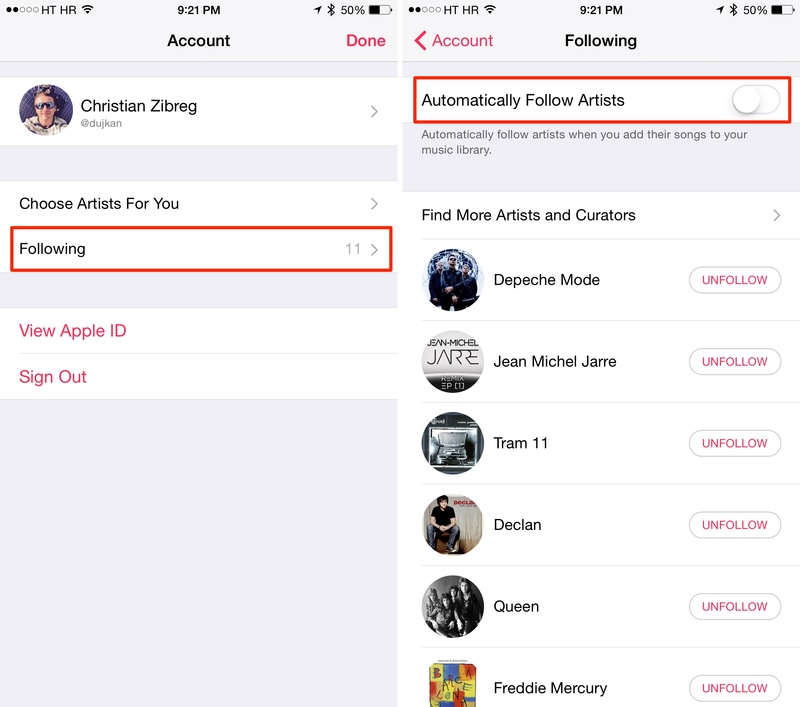 Your personal library data, along with any music manually added from Apple Music to your library, influences music you get exposed to in the For You section. 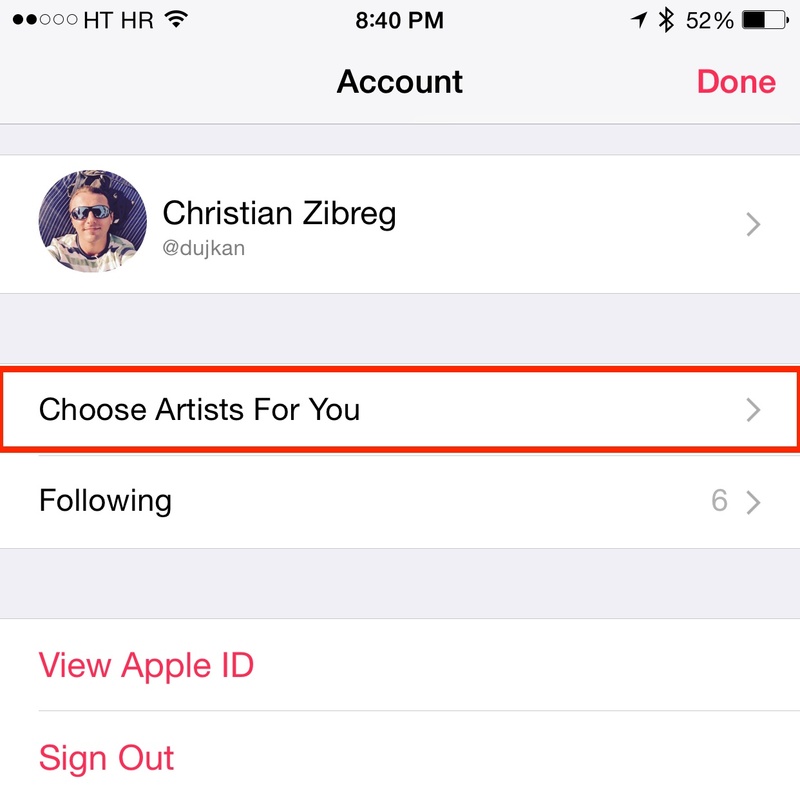 Genres and bands you’re into—As part of Apple Music’s setup procedure, Apple asks you to tell them which songs and genres you like. This data helps the system quickly learn what you’re into. These aforementioned items directly influence what content you’ll be exposed to when browsing ‘For You’ recommendations. As Apple said to Jim Dalrymple of The Loop, For You recommendations don’t affect the content you’re exposed to via Apple Music’s built-in radio stations. In other words, liking a radio song affects For You but does nothing to fine-tune that station because Apple Music’s built-in stations are all handpicked songs. While everything playing on Apple Music can be liked, including songs from Beats 1 and Apple-curated stations, custom ones created from individual songs use the starring system instead of the hearts. 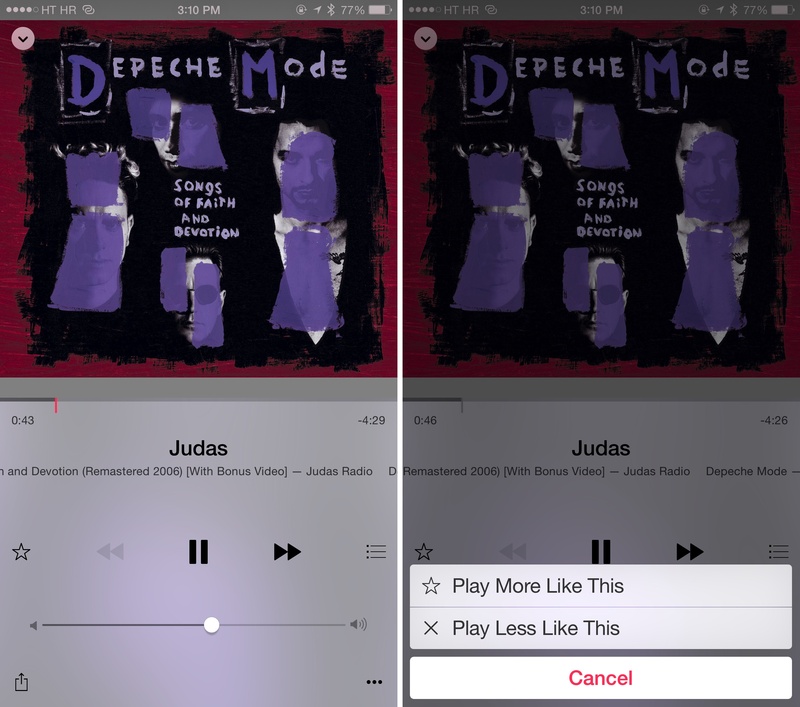 Starring a song in your custom station actually tunes that station to your likes and dislikes. The easiest method of telling Apple Music about your musical tastes involves bringing up Siri when the song is playing and telling her “I like this song” or ”I dislike this song”. As you can see below, I really like AlphaVille’s “Forever Young” so I told Siri “I like this song”. Sure enough, the heart symbol instantly reflected my preference. This works for songs in your personal library, songs played from a radio station and tracks streamed off Apple Music. You cannot, however, tell Siri to like or dislike a playlist or a specific radio station so you will have to do that manually. “Play the top songs from 1970s“ instantly creates a playlist for you with songs from Apple Music that were popular during that period. “Play more songs like this” creates a station from the currently playing song. “After this song, play They Want My Soul” adds the song to the Up Next queue. “Add the new Taylor Swift album to my library” finds her latest album on Apple Music and adds it to your personal library. “Add this song to my library” adds the currently playing song, including songs on Apple Music and those played from a radio, to your personal library. 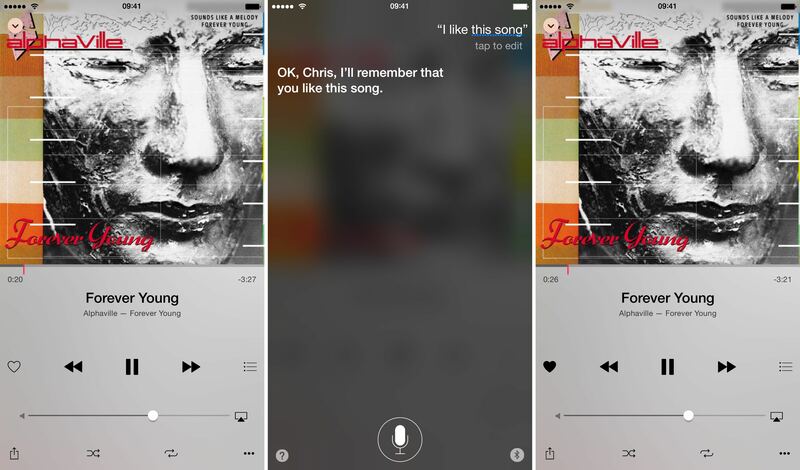 Ask Siri to play any song as long as it’s in Apple Music’s vast catalog. Use the Shazam integration to identify songs playing around you right on the Lock screen and then ask Siri to add them to your library. 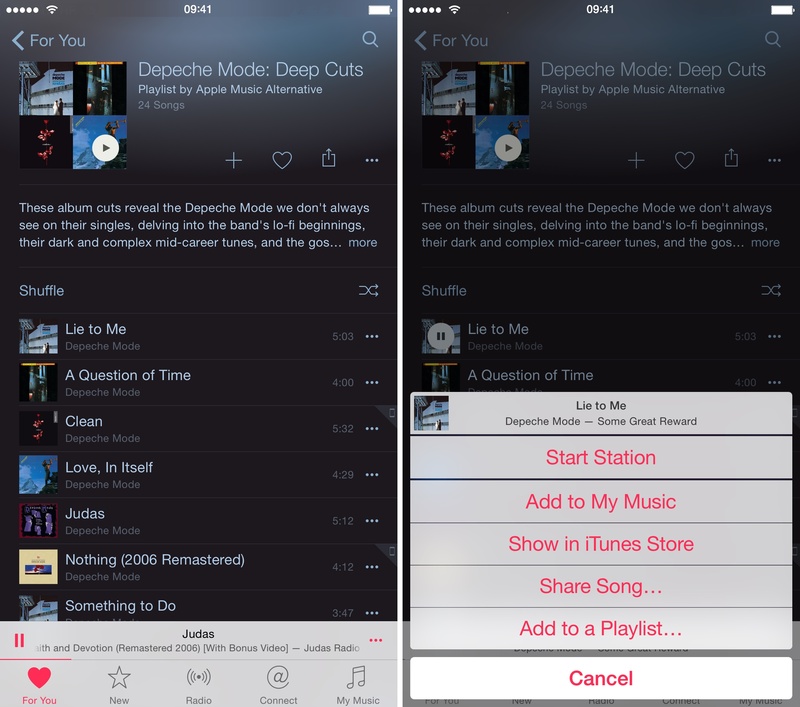 Found more neat ways to control your Apple Music experience with Siri? Share them with us in the comment section! Tapping the For You tab alongside the bottom of the Music app produces a personalized list of songs, albums and curated playlists that Apple thinks you’ll like based on the items I mentioned earlier in this article. These recommendations are not perfect. Thankfully, you can easily tell the system that you dislike a specific song, album or playlist. Step 1: Open Music and tap For You alongside the bottom. Step 2: Tap and hold on an album, song or playlist recommendation you don’t want to see any longer in your personalized For You section. Step 3: A menu with various options will pop up. Tap on I Don’t Like This Suggestion to exclude this and similar items from For You recommendations. I’m really not a big fan of Justin Bieber so I’m just going to tap and hold on that specific recommendation and choose ‘I Don’t Like This Suggestion,’ as shown above. Tip: While you can dislike specific For You suggestions on an iPhone, iPod touch or iPad with iOS 8.4, this option is nowhere to be found for the time being in iTunes 12.2 for Mac and Windows PCs. Apple should add it in a future iTunes update. When you create a custom radio station from a song or an album, the Now Playing screen will show the star symbol instead of the heart. Tap the star to tell Apple Music to play more or less songs like this inside your custom radio station, without affecting For You recommendations. Step 1: Firstly, you need to create a radio station from an individual song. To do so, play something you like and tap on the “⋯” icon located in the lower right corner of the Now Playing view. Step 2: A contextual menu will pop up. Choose Start Station to create a radio station from the currently playing song or artist. Step 3: Now tap on Radio in the tab section alongside the bottom and locate the radio station you’ve just created. Tap on it and the station will begin playing. Step 4: To fine-tune the station to your tastes, simply tap the star symbol to bring up a menu offering the choice of asking for more or less of the same. Now choose either Play More Like This or Play Less Like This. Tip: Again, telling Apple Music to play more or less songs like this within the context of your custom radio station doesn’t affect your overall For You recommendations. 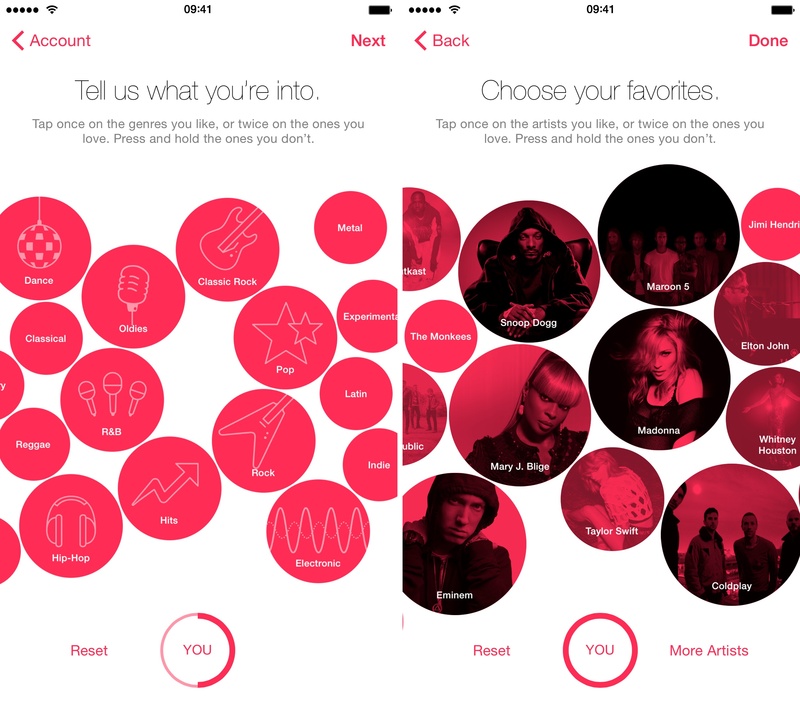 On first run, Apple Music presents you with a cool interface that presents artist and genre suggestions in the form of tappable circles. Tap once on the genres you like, twice on the ones you love, or press and hold the ones you don’t. Hitting Next takes you to the next screen where you’ll choose your favorite artists. Again, simply tap once on the artist you like, twice on the ones you love, or press and hold the ones you don’t. Tap Done when you’re finished choosing your favorite artists. As shown below, you can also tap the More Artists link at the bottom. This is useful if you’re dissatisfied with suggested content. Whichever way you look at it, it always makes more sense to tell Apple Music about the artists you really like than the ones you don’t. Tip: You can further tune Artists For You anytime you like. Just launch the Music app, tap on the profile icon in the upper left corner and hit the Choose Artists For You option. While we’re on this scene, you can also claim your unique nickname here which will be displayed on playlists and comments, as well as opt out of automatically following artists every time you add their songs to your music library. Just tap Following and flip the Automatically Follow Artists switch to OFF. The more you listen, the better Apple Music hears you. To learn from your listening habits and be more personalized for your tastes, you are wholeheartedly advised to like content on Apple Music as much as possible while culling any recommendations they dislike. On the downside, there is currently no way to get a view of all the music you have liked. True, you can create a smart playlist in desktop iTunes to do just that. However, it only includes liked tracks you’ve added to your personal library while omitting any songs you like in Apple Music that aren’t in you library. It’s not the most elegant solution. 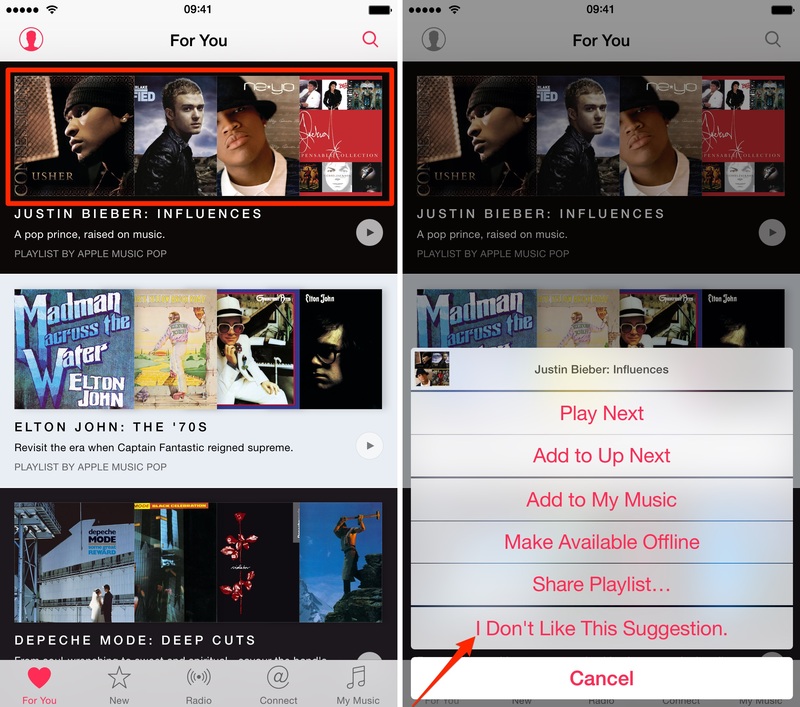 How do you like these tips for influencing Apple Music recommendations?